The Iraq War is likely the most documented prolonged military conflict in history outside of World War II, but there haven’t been as many books, movies, or documentaries about the fight in Afghanistan, largely because the terrain there is more forbidding and the situation at the front more volatile, so it’s harder to reduce and reproduce as drama. For the documentary Restrepo, journalist Sebastian Junger and filmmaker Tim Hetherington embedded with an army unit in the treacherous Korengal Valley off and on for a year, drawing fire right along with their subjects, and even documenting the moment when the men learn one of their comrades has been killed. Restrepo solves the “dramatizing Afghanistan” problem by working more as a “you are there” record than as a story with a point to make—unless that point is how war shapes its warriors. The combat footage Junger and Hetherington got for Restrepo is unlike anything ever seen in a documentary; it’s raw, relentless, and made all the more unsettling because neither the soldiers nor the audience can see who’s doing the shooting. 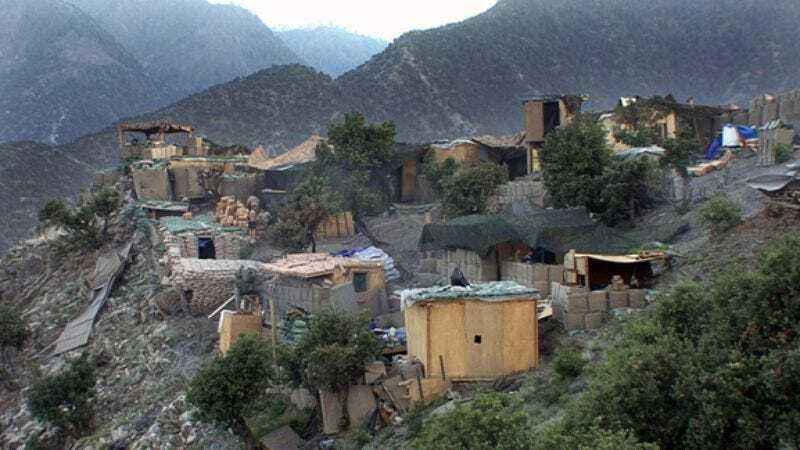 The men of the 173rd Airborne Brigade are pinned down in the mountains, at an outpost they name “Restrepo” after one of the first casualties of their deployment, and they’re surrounded by Taliban who either fire on them from long range, or hire locals to do it. Restrepo jumps back and forth between the battle scenes, the scenes of the unit trying to enjoy their rare moments of downtime, and interviews with the men months after their tour was over—interviews photographed so close that every pimple on these young men’s faces is visible. The result is an unsentimental, admiring look at a soldier’s life in one of the deadliest theaters of combat that’s ever been. What Restrepo is not is an all-encompassing portrait of the ever-evolving situation in Afghanistan. The movie offers only a token consideration of the Afghani point of view, and though Junger and Hetherington show how the Americans are enraging the locals as much as they’re winning hearts and minds, the filmmakers also clearly sympathize with the frustration of soldiers who see their best friends ripped to pieces in front of them, and get little thanks in return. Restrepo can be tedious at times and nerve-racking at others, but why shouldn’t it be? That’s exactly what Junger and Hetherington saw on the front lines, so that’s what they show, with very little filter.